Little is known about Asian Americans treated for serious psychiatric disorders in the public mental health system. We characterized 75 Asian Americans seen at community mental health centers for a diagnosis of schizophrenia spectrum disorder to anticipate likely clients and gain insights into their service needs. Participants completed in-person interviews and self-report questionnaires on their demographic and social characteristics. The ethnically diverse sample featured mostly foreign-born individuals with long-standing schizophrenia. Findings highlighted participants’ differential experience of social adversities and stressful events, but also revealed salient cultural resources that shielded some from the social sequelae of schizophrenia. 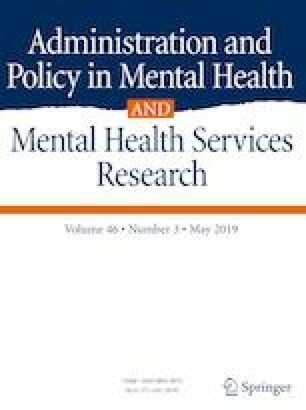 Recovery-oriented mental health programs staffed by culturally and linguistically compatible providers remain key to engaging this marginalized population in service. Findings also uphold a holistic management of schizophrenia spectrum disorder among racial and ethnic minorities, taking into account the complex social needs of afflicted individuals. This research was supported by the Okura Mental Health Scholarship awarded to Caroline Lim by the Asian Pacific Islander Social Work Educator Association. Funding from the University of Southern California Suzanne Dworak-Peck School of Social Work supported the article preparation. The authors gratefully acknowledge the contributions of mental health providers and study participants. The authors declare no potential conflicts of interest with respect to the research, authorship, or publication of this article. National Institute of Mental Health. (2009). Schizophrenia (NIH Publication No. 09-3517). Retrieved from http://www.nimh.nih.gov/health/publications/schizophrenia/nimh-schizophrenia-booklet.pdf. Newport, F. (2016, Dec 23). Five key findings on religion in the U.S. Retrieved from http://www.gallup.com/poll/200186/five-key-findings-religion.aspx. Pew Research Center (2013, April 4). The rise of Asian Americans. Retrieved from http://www.pewsocialtrends.org/2012/06/19/the-rise-of-asian-americans/. U.S. Census Bureau. (2016). Asian/Pacific American heritage month: May 2016 (Report No. CB16-FF.07). Retrieved from https://www.census.gov/newsroom/facts-for-features/2016/cb16-ff07.html. U.S. Census Bureau. (2017). American Community Survey 1-year estimates. Retrieved from https://factfinder.census.gov/faces/tableservices/jsf/pages/productview.xhtml?src=bkmk.